The narwhal is among the more introverted of marine mammals. It lives in polar regions where life is quiet. But the species is in for a rude awakening. As climate change causes sea ice to shrink—and new waters open to human exploration—this single-tusked cetacean will likely be exposed to new noises and new threats. Now, a study suggests they might handle the stress poorly: They experience possibly one of the most physiologically extreme fright responses ever discovered. 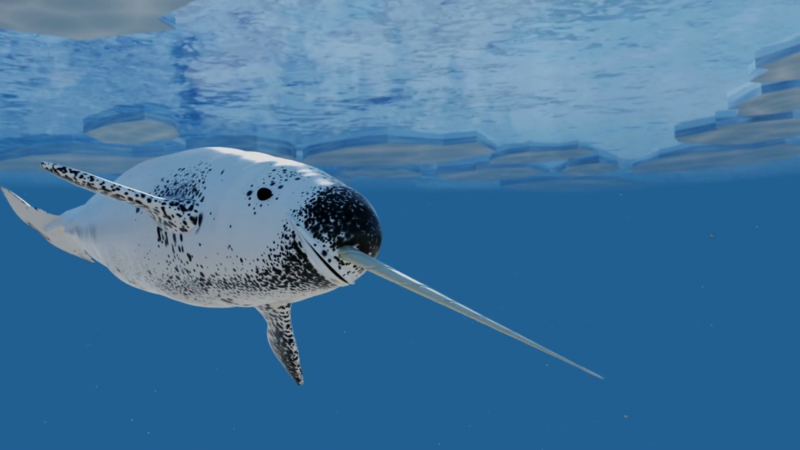 Worldwide, there are an estimated 175,000 narwhals; yet because these whales are concentrated in northern waters between Greenland, Canada, and Russia, few people have ever seen them, save Canada’s Inuit. That includes scientists, who still know relatively little about the so-called unicorn of the sea. Now that human interlopers are growing in number—a recent survey showed that ship traffic in a key summering area for narwhals near Canada jumped almost 300% from 2015 to 2016—researchers aren’t sure how narwhals will react. Mads Peter Heide-Jørgensen, a marine biologist from the Greenland Institute of Natural Resources in Nuuk, wondered what happens when narwhals get stressed. Some researchers have taken blood samples from temporarily captured narwhals, but Heide-Jørgensen wanted more than just a snapshot of stress responses. He reached out to Terrie Williams, an ecophysiologist from the University of California, Santa Cruz, who had developed a way to measure the heart rate of diving dolphins. In 2014, she traveled to Greenland to meet Heide-Jørgensen. She was so uncertain her technology would work on the whales that she packed 20 kinds of the suctions cups used to attach heart-monitoring electrodes, hoping that one would do the trick. But the first attempt to attach them succeeded. “There were high-fives all around,” Williams says. Previous: Previous post: Are Narwhals Starting to Go Extinct?